Designated orignally as the Citigroup Center today this office highrise building is called 601 Lexington Avenue and stands as a Landmark becon to Midtown Manhattan's skyline. 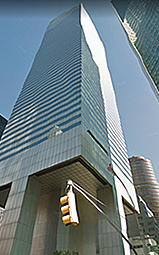 Found in the Plaza District at East 53rd Steer this 59 story office tower offers leasing options for commercial tenants seeking to rent offices. This building incorporates a forward thinking approach with regards to the direct leasing of offices given that spaces can be reshaped quickly to match a modern day company's transforming needs. Furthermore amenties associated with the social fabric that's the Millenial generation continue being incorporated as time progresses. Under this framework a lease more than three years direct with the landlord is needed for such customized built space. Additionally individuals who choose to lease long term enjoy better options some of which for example may include; full floor direct elevator presence, tenant controlled HVAC, the ability to sublet a portion of your space, plus on the upper floors the building features outstanding views of the city and beyond! Moreover the building property is further benefitted by its central core layout and structural systems that lend well to personal offices and open layout plans alike aall of which are coupled by 9' and 10' ceiling heights throughout. The exterior building design has also influenced certain tenant layouts; for the reason that by the building's graduated tiered design it offers particular offices outstanding unemcumbered views from collaborative work areas in addition to conference rooms. There are the elevators and exactly how they've been intergrated in to the building by utliziation of the double-decker plan - these passenger cars lessen the area required for structural circulation again granting more are space for offices to be layed out and constucted. There shoud be emphasis put into the truth that Landlords in this area of Manhattan are reaching more to finalize translactions and doing whats required to get deals completed - a sure boon for commercial tenants! For more information on 601 Lexington Avenue, contact us and one of our brokers can provide you with all the data needed including price, floor plans, photos, and insight into the area and the comparable options. Total Building Size: 1,630,190 SF. Price: Buildings in this range and location today are averaging rents bewteen $65 to $90 PSF. • The building is accessible 24 hours a day, 7 days a week. • The United States Postal Service delivers mail to each floor. 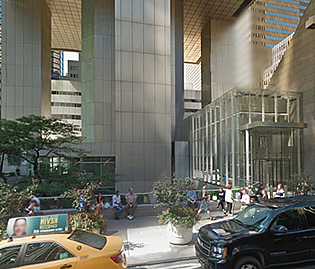 Boston Properties will close the 601 Lexington Avenue Atrium until 2018. You are able to distinguish it from the adjacent NYC skyline by its distinctive 45 degree-angled top being a fixture to the flat-roofed prisms of midtown Manhattan, Citigroup's pitched roof has turned into a effective indication of its namesake corporation. 601 Lexington Avenue's world-recognized silhouette was created by Hugh Stubbins & Associates and Emery Roth & Sons. Built-in 1977, the retail atrium and open-air concourse were renovated in 1997. But it’s the bottom of the building that actually helps make the tower so unique. 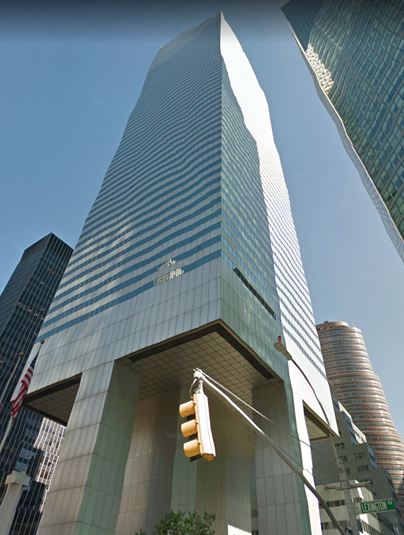 In 2008, building owner Boston Properties started the entire process of renaming the tower "601 Lexington Avenue". 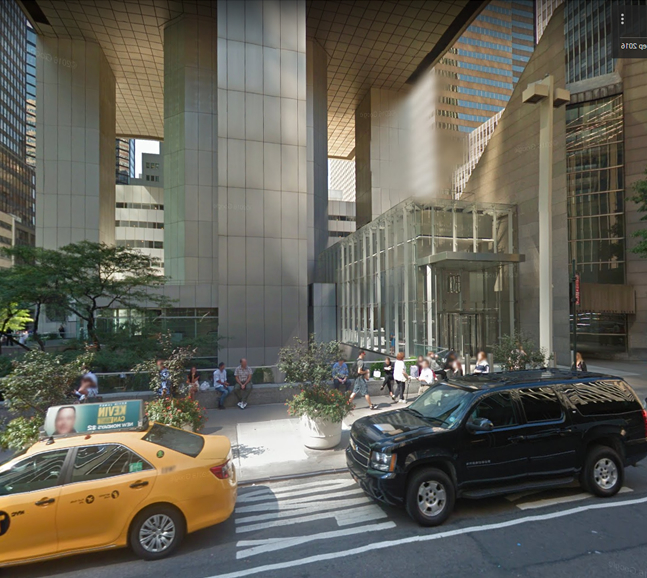 Renovation from the lobby led to moving from the tower's entrance from 53rd Street to Lexington Avenue. The bottom nine of its 59 stories are in essence large grand columns stilts. A new office lobby was built in 2010, the 601 Lexington Avenue site included an adjacent six-story office building and public plaza in need of renovation. It's most likely the most eye-catching skyscraper built-in within the 1970s due to its elegant and memorable shape, but additionally due to its unique base that merges with the Midtown's city setting. This 59-story tower has direct accessibility to the Atrium Shops and Cafes, the best place to find top class retail shopping, restaurants, and a fitness center. Additionally, it offers flexible options towards accessing and traveling to any of the city;s five boroughs through this prime location directly above a sizeable subway hub as this. 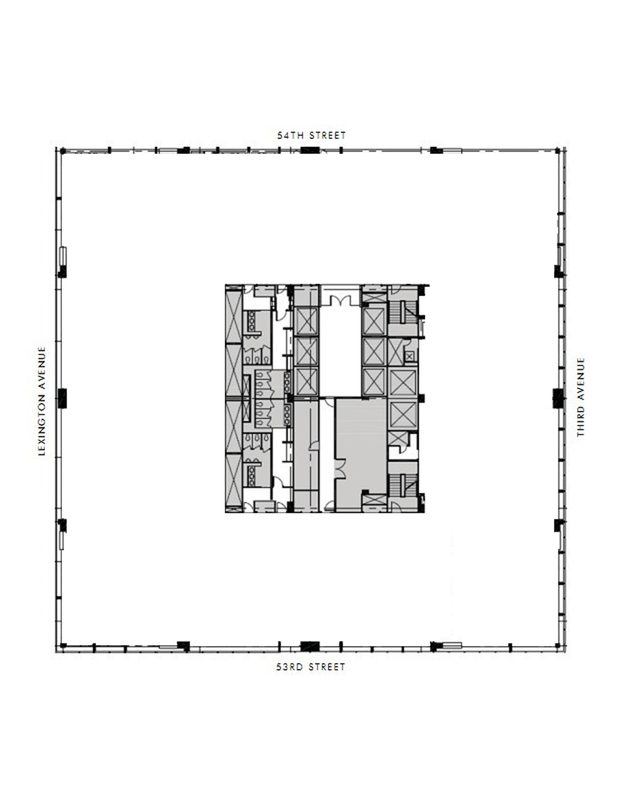 In contracting Gensler, the building owners focuse was not tied to the escalating of rents, but by improving the quality standard of the neighborhood by looking into making a unique plaza and atrium space. In keeping the brand new outside plaza and terraces make room for additional dining and retail options, while stimulating the market office component. The resulting 200,000-square-feet redevelopment transforms an internally focused space right into a busy urban oasis for Manhattan’s Midtown East neighborhood.